Police are appealing for witnesses after a woman was assaulted while she was waiting for a bus. 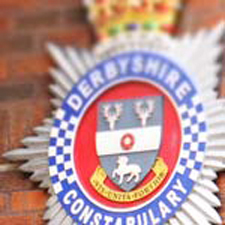 The incident happened at about 11.20am on October 11th, at a bus stop in Hardwick Drive, Arkwright. The 20-year-old victim was waiting at the bus stop when a woman walked up and assaulted her. She was punched, kicked and had her hair pulled by the attacker. Police investigating the assault want to hear from anyone who saw it happen or who might have information that could help. Witnesses or anyone with information should call PC Craig Allinson on 101, quoting reference 16000327121. Alternatively, you can send PC Allinson a message online by visiting the Contact Us section of the Police website at www.derbyshire.police.uk/Contact-Us or you can also call Crimestoppers anonymously on 0800 555 111. Officers investigating a distraction burglary in Chesterfield have released CCTV footage of the suspect.